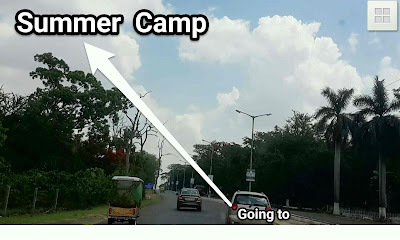 This Summer camp essay can also be used for class 7, 8 and 10 also. Summer season is something which has always made us happy. It is the fresh, new beginning of a time which makes our world brand new again. The cherry on it is that we get to go to summer camp. When we are children, we always tend to learn something new and that something stays with us all the time; since children have a greater perspective to everything they learn, it stays with them all the time. Summer camp can be a place where there is a chance to have miracles loaded into you like a shooting star. It is young time and learning spirit is higher than anything else. This young time is something which is very important in an individual’s life. For example, “The Bird Man of India” made his life an astounding one because of the incidents in his childhood which paved way for him to become a successful one. Since summer camp is a place where you do nothing but learn, there are higher chances for you to find that quality in yourself which makes you an astounding human being. The beauty of summer camp is that there no hard work in it. You get to learn everything which the camp provides. Apart from singing, dancing and playing; we also get to learn how to socialize and how to manage leadership skill. You will know what you are good at and what you are not because everybody is not born a painter or a singer. Everybody is not everybody else. You will also learn slowly, how to be independent and how to carry yourself. These great moments are what life is all about, it makes you a new person every second of everyday. You also get to grab memories which become precious as you grow old. If you ask older people about their summer camp memories, they will tell you about finding something which was beyond reality i.e., friendship and love. When you learn something together, it always stays with you no matter what. The most important point is that you will learn new activities like swimming or learning a new sport like football, baseball or something entirely different like learning to do magic tricks. On the inner way, you will become a changed person. A person with full of integrity, enthusiasm, charisma and a positive attitude which will stay with you prolonged. The conclusion over here is that, no matter where you go, the memories of summer camp will be always with you.